Join us for our season’s kick-off event! Register Now! Join old friends and new over drinks and trivia at our kick-off event of the 2018-2019 year! 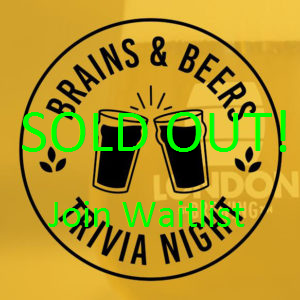 Your first drink is on us, and snacks will be provided as brain fuel for trivia madness! Topics range far and wide, but only one team of communicators will reign the brewery. Don’t miss your chance to win exclusive prizes, mix with IABC members and communicators alike and gain trivia bragging rights! Get your friends together to make a team of four. Or, get matched up with new friends upon arrival. Doors open at 6:30 p.m. and trivia begins at 7:00 p.m.